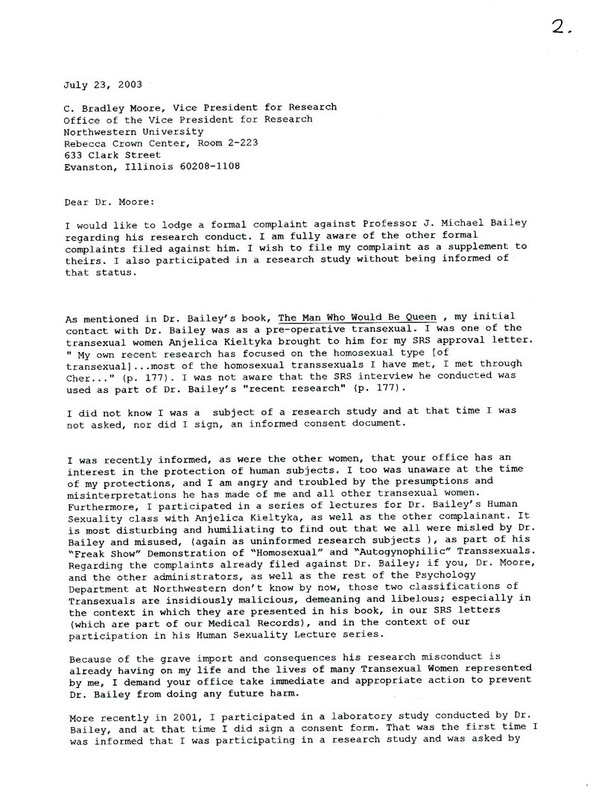 to not investigate such egregious misconduct. 1. Anonymous's notarized affidavit, witnessed by Andrea James and Lynn Conway on 7-21-03. 2. 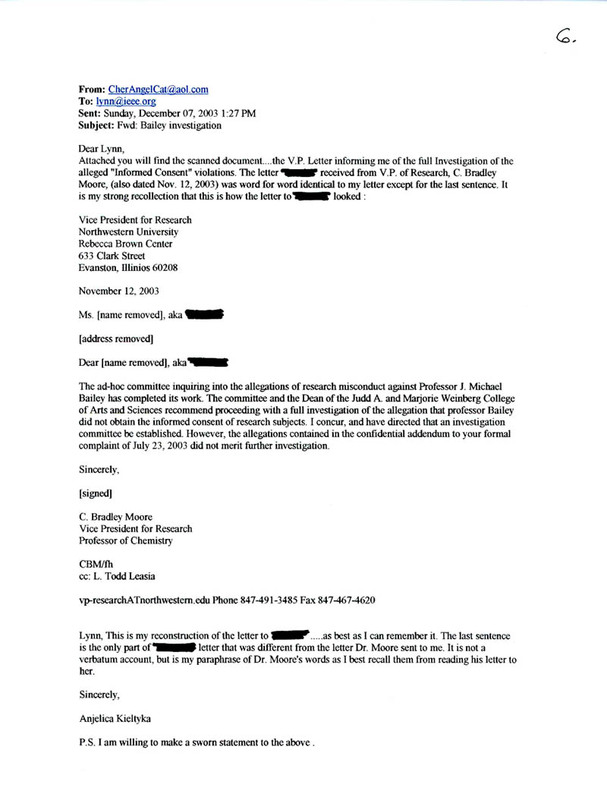 Anonymous's formal complaint to Northwestern University, submitted to OVPR at NU on 7-23-03. 3. 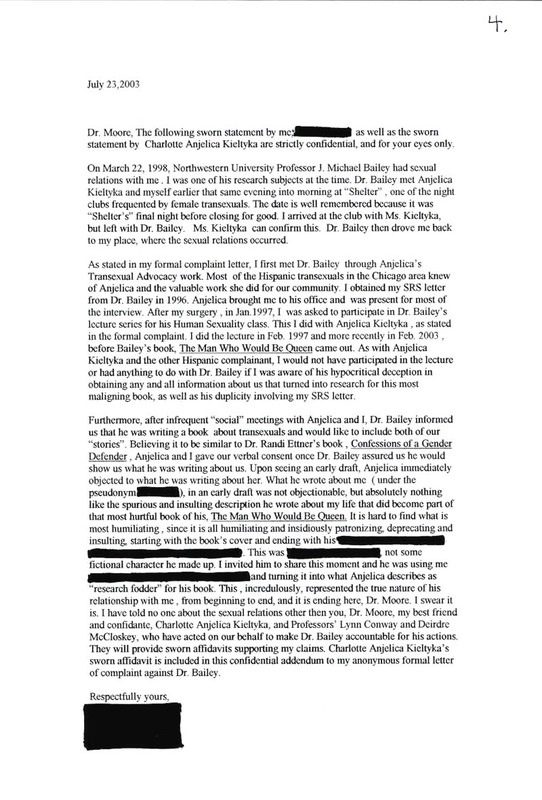 Page two of item 2. 4. Confidential addendum to item 2, submitted in sealed envelope along with item 2 to OVPR at NU on 7-23-03. 5. Anjelica Kieltyka's sworn affidavit submitted along with confidential item 4 to OVPR at NU on 7-23-03. 7. 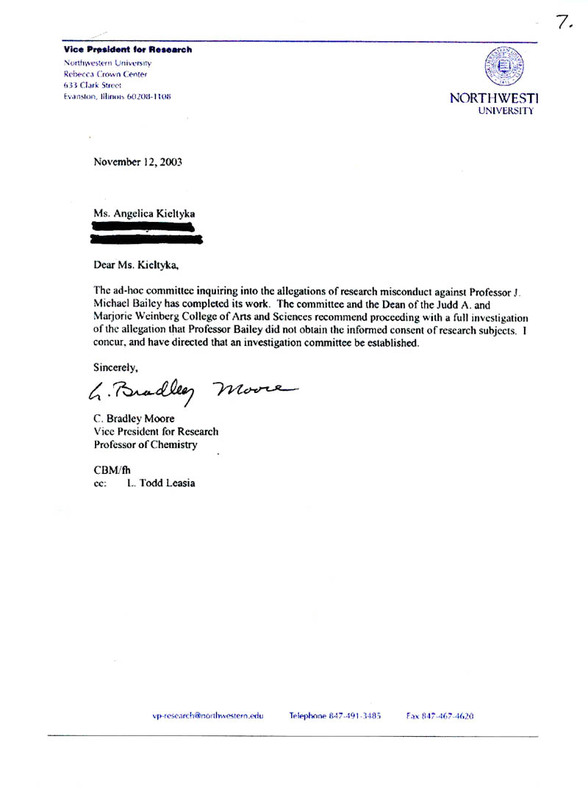 Response letter to Anjelica Kietlyka from OVPR at NU on 11-12-03, regarding her formal complaint (ref. in 5).